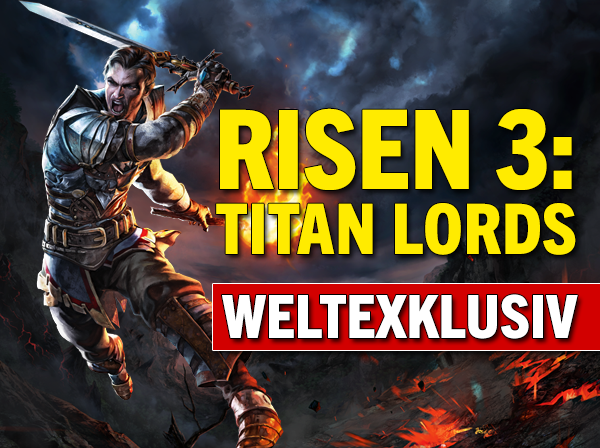 According to German magazine PC Games, the fantasy series Risen is being continued with a third installment called Risen 3: Titan Lords. The game is on the cover of the magazine, which can be viewed at the bottom of the post. Although there aren’t many details to report on a release date or plot synopsis for the game, we can tell that the game has a medieval setting, which will perhaps be a back-to-basics for the series considering the second installment had a more nautical setting. All games in the series have been developed by Piranha Bytes and published by Deep Silver, falling under the action role-playing genre. The first game, Risen, was released in 2009 while its sequel, Risen 2: Dark Waters was released in 2012. Both games have received mixed reviews. Condemn OR Condone: This series hasn’t been all that well received, so I’m not sure a 3rd entry is really something that a lot of people are asking for. However, considering this could be a back-to-basics game for the series maybe they can improve upon what they have attempted in the past. This entry was posted in Featured, News and tagged Risen on February 21, 2014 by Mike Guarino.